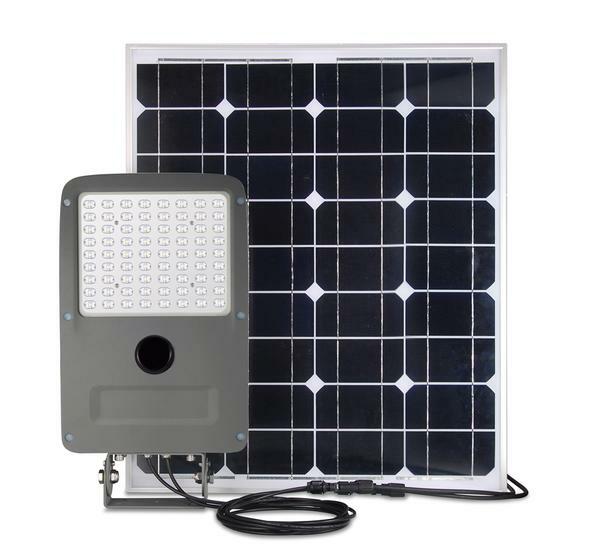 In one of the most attractive lighting product designs and superior quality, the solar LED street light set consists of a battery, the solar panel, the microwave controller or sensor and the lighting lamp itself when all the other three are in-built inside the lamp. 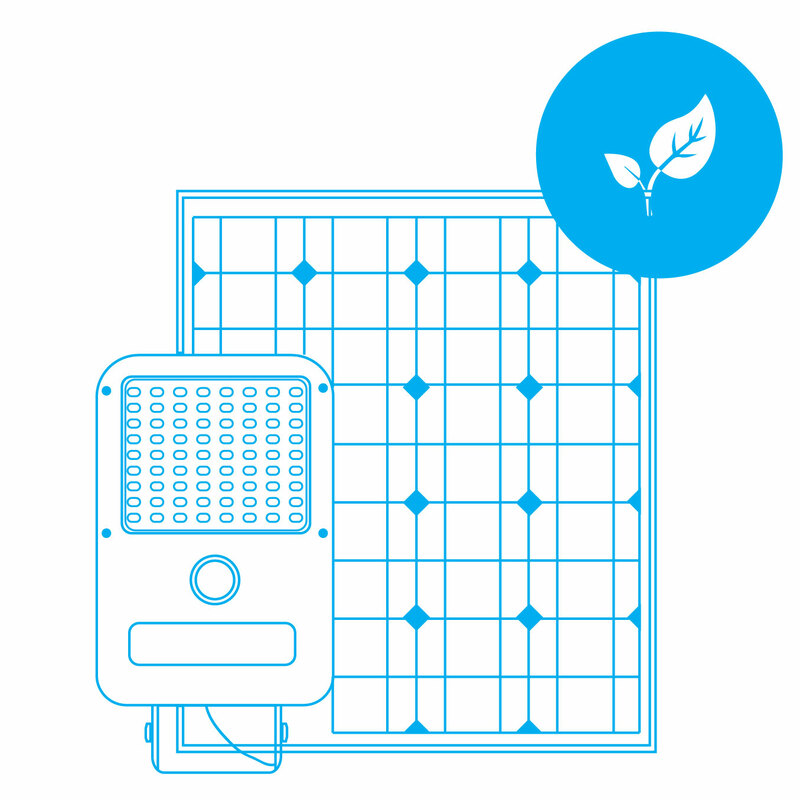 The 20W LED Solar street light works with a 50W solar panel to convert solar energy into light energy, providing us with 100% energy-savings (electrical energy). The color temperature of the light is 6000K (cool white light glow) and CRI of the product is more than 80 reflecting more than standard color rendering ability. 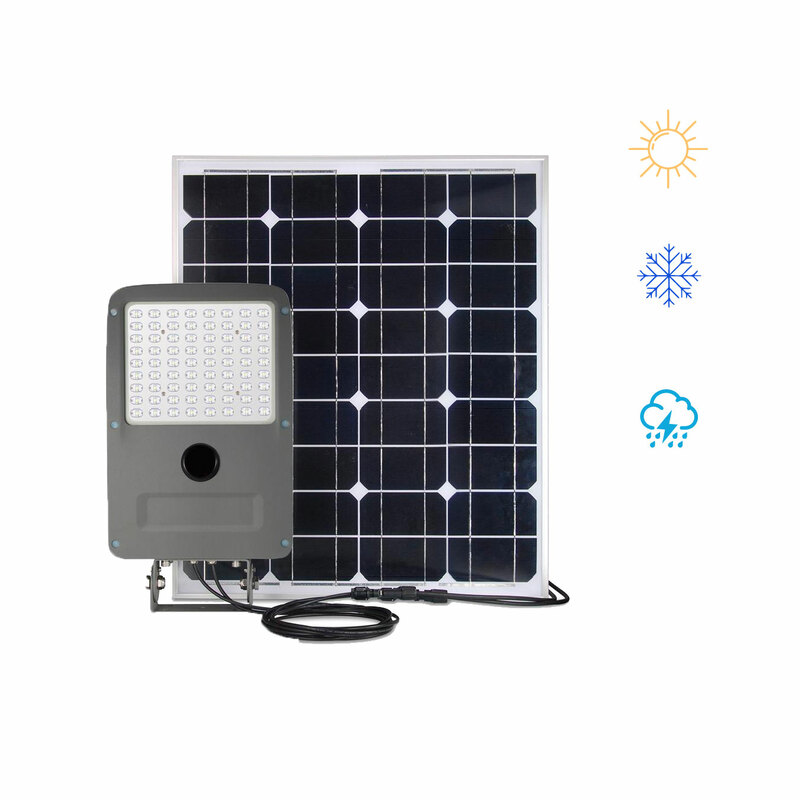 Instead of going just LED or just solar, we have come with the latest-in-vogue and a mix of both solar lighting technique and LED lighting technique to give you the combined best -- solar LED street light. 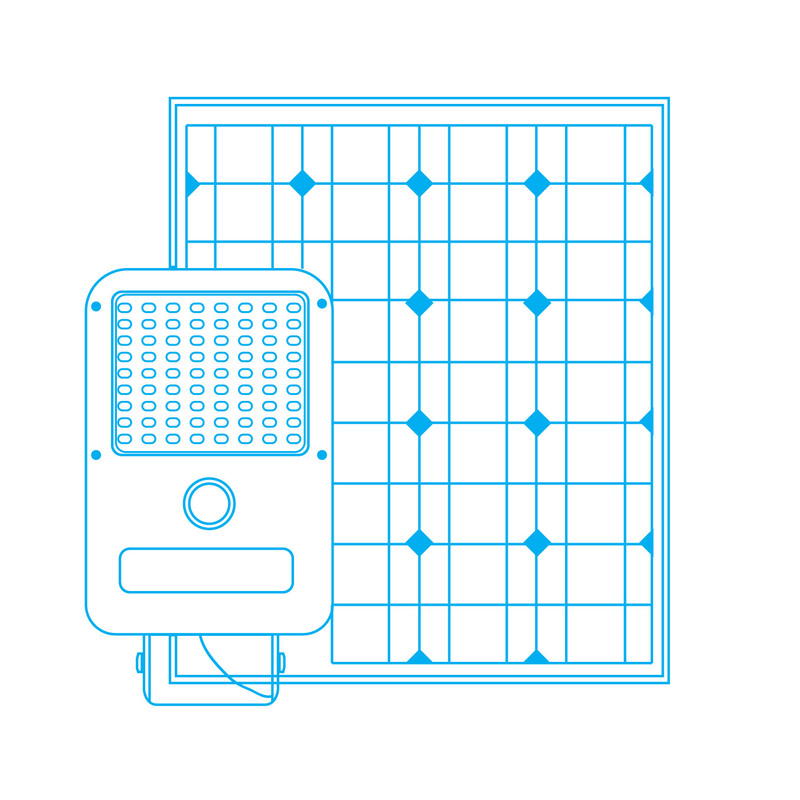 Using less of grid power, solar LED street light comes to be far superior than any traditional lighting products such as incandescent lamps, HID/metal-halide lamps and fluorescent lamps. Overall, a great product to provide you with high intensity light, high durability, high reliability, high energy-efficiency and low maintenance without requiring any cabling connection onsite and for use on poles of 15-20 feet height.. You have 5 years of warranty from the manufacturer’s end for this product. Also, an IP65 LED driver ensures resistance to dust and moisture, making it suitable for all weather-conditions. 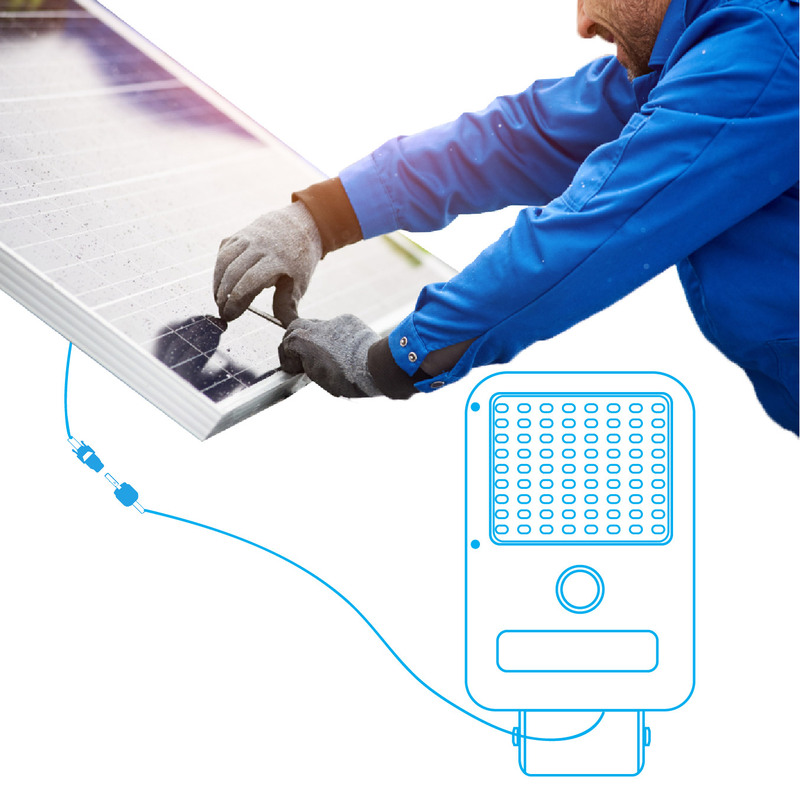 DC Power Instead of AC Power: This product being solar LED uses direct current instead of an alternating current for low current, low voltage applications. 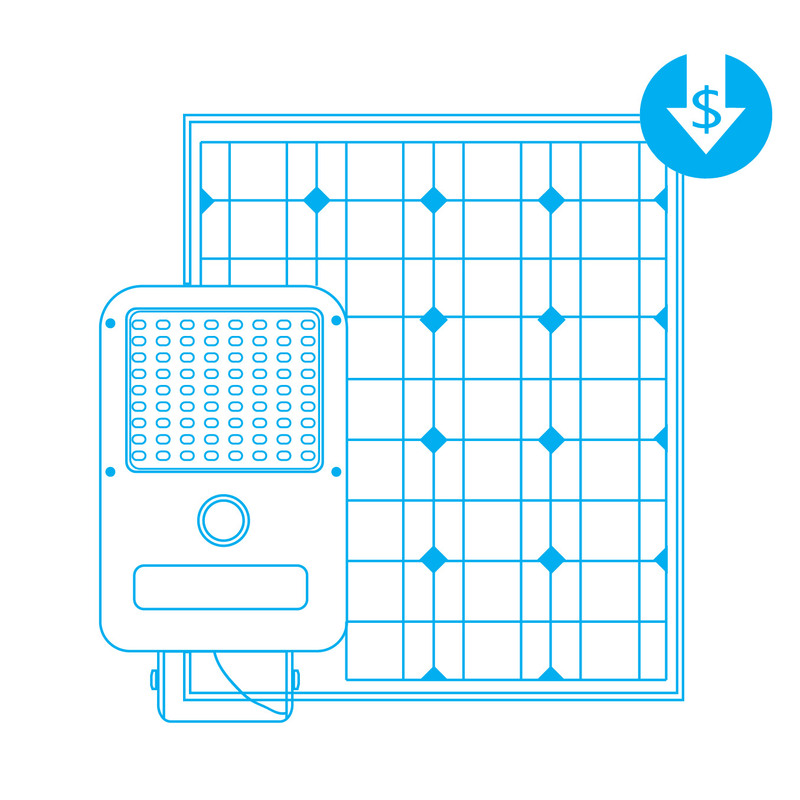 The solar LED lighting product so run by DC power are more efficient in operation since there is no power loss due to AC. The solar powered street light being run off the electrical power supply saves electrical energy and thus helps in protecting the ecosystem. High Energy-Efficiency: Producing more lumens per watt than the conventional lights such as HID/metal-halide lamp or incandescent or fluorescent lamp helps save energy up to atleast 95%. 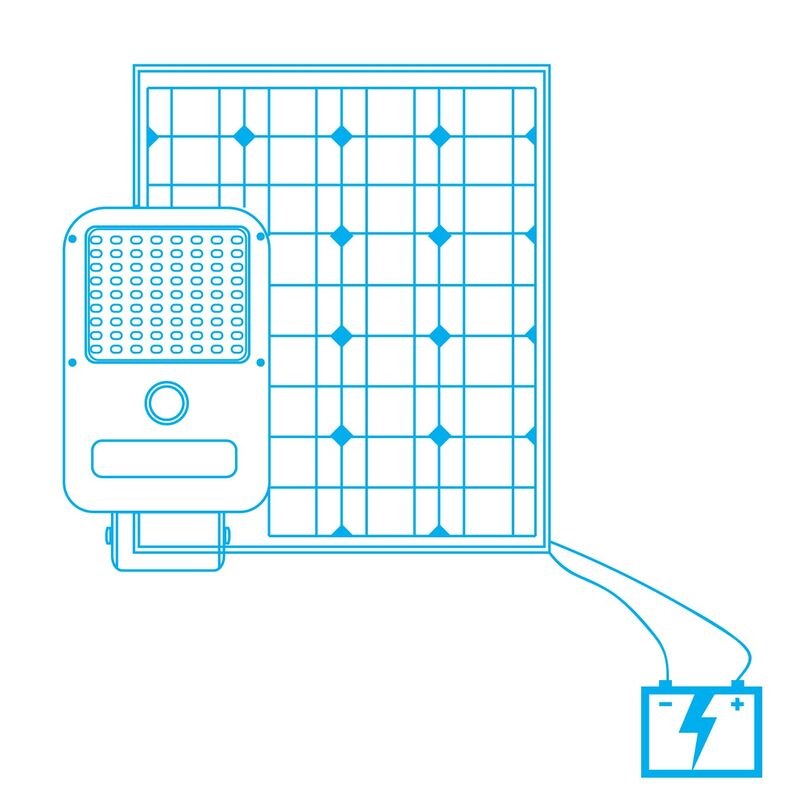 Being offgrid, the only power/energy this product consumes is from the charged battery. 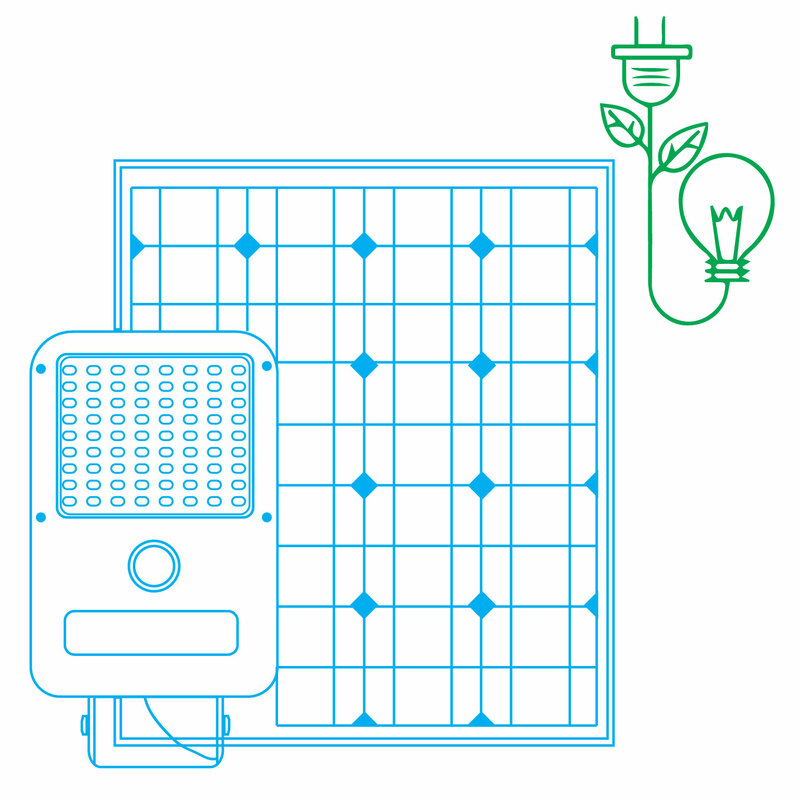 Highly Economical & Reliable: Though the LED lighting has helped us save energy bringing us a lower electric utility bill each month and year after year, the solar power LED street lighting is one alternative method of saving energy in plenitude. It’s an alternative and reliable method of emitting light by conveniently using the natural source of energy -- the solar energy. Beam Angle: 140x70 degree. 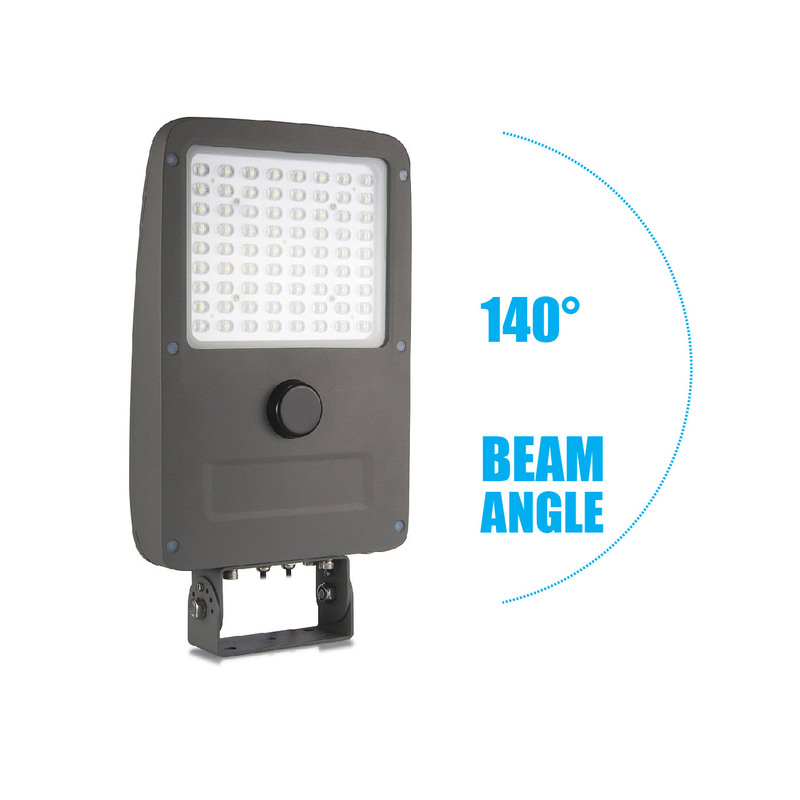 This beam angle is utilized for illumination of wide spaces. 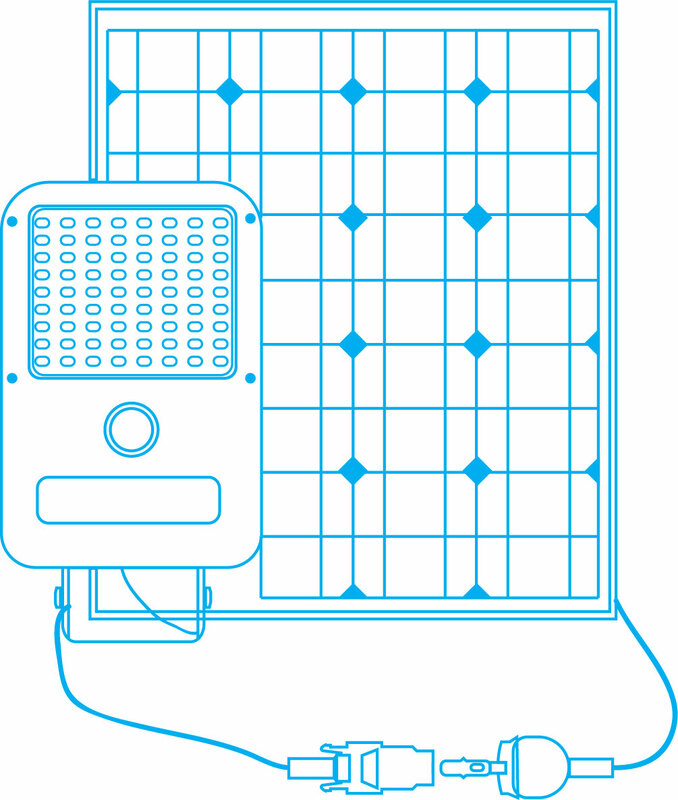 Non-Directional Lighting: There is no electrical energy that is being wasted into light because the solar LED street light lamp uses the beam angle of 140x70 degree (very wide beam angle) for illuminating a wide-enough area and huge spaces rather than highlighting a particular area or an object. Uniform, even and general area/sight lighting is what this product provides us with, being a pole mounted product. 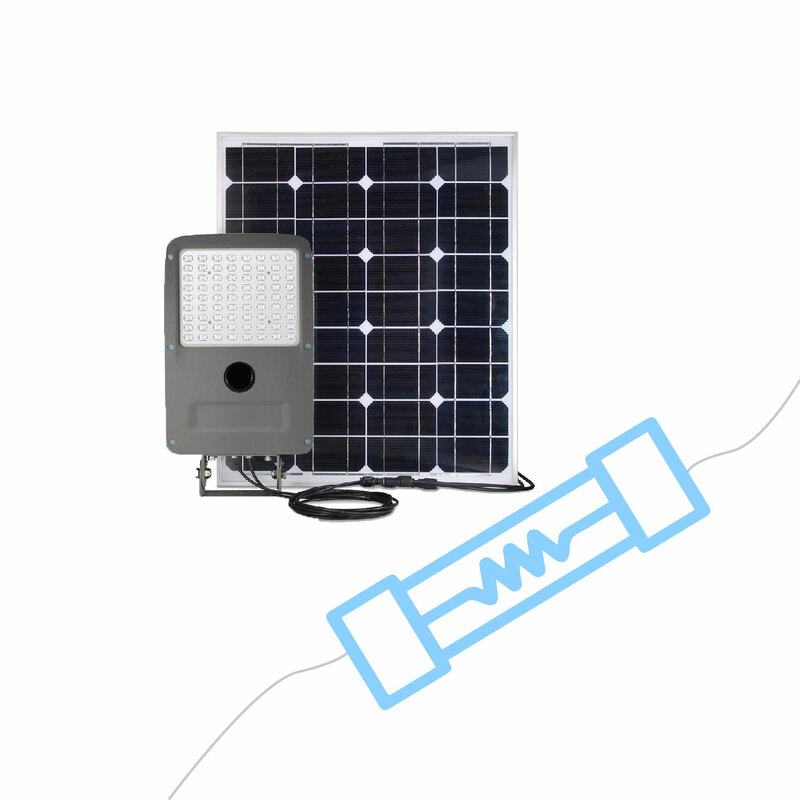 No UV or Infrared Beam Light Output: The light emitted through the solar LED street light contains no ultraviolet or infrared radiation and hence is completely hazard-free to the human beings. Less eye-strain and no risk of any other disease. Light Weight, Easy Installation:Since it is light weight, it is portable. So, one can easily lift it and install it. 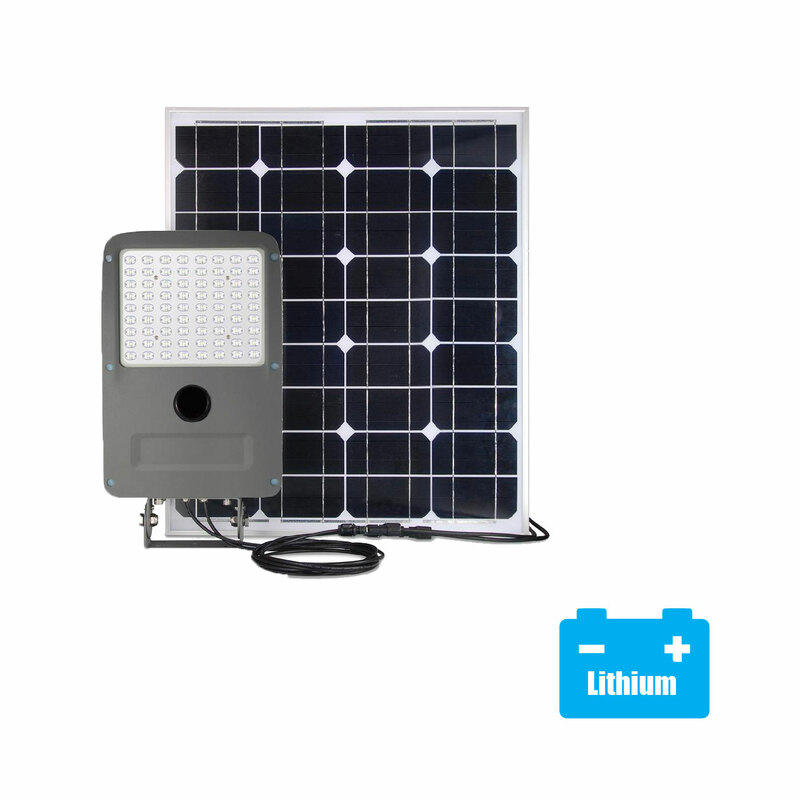 With the complete street light set of solar panel, solar controller or sensor, lighting fixture, battery, a flange, wires and solar brackets, the installation is easy, if not super easy. Low maintenance Needed: Since the lifespan of the product is 50,000 hours or more and the solar panel usually lasting not less than 15-20 years, you might need to go for just 1 replacement of the lamp but not the entire fixture or lighting set. On the whole, very low maintenance required before or after 50,000 hours. 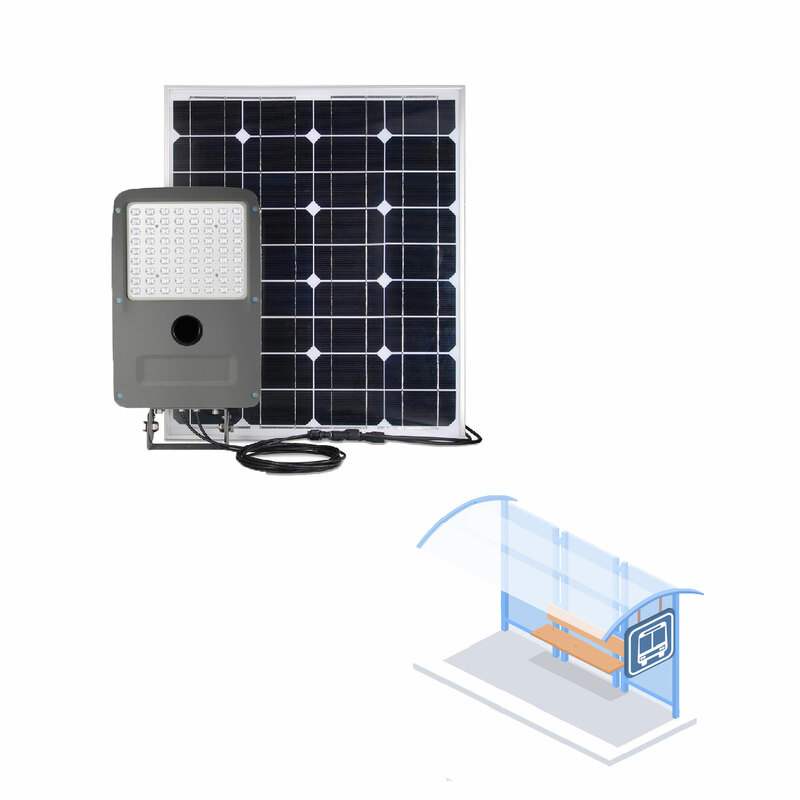 Motion Detection Through Microwave Sensor: With solar LED street light now gaining traction, you will also need to have microwave sensor operated remotely through a solar controller. Also known as Radar or Doppler sensor, this sensor helps detect any motion (including walking, running or crawling) of human intruders in any outdoor environment. Since this sensor is in-built and not as an accessory, there is no hassle of separate installation. Durable & Excellent Heat Dissipation: The housing of the lamp is in a rugged die-cast aluminum alloy to resist corrosion, any other wear or tear, external damage. At the same time, dissipates heat effectively so very less loss of electrical energy into heat unlike the conventional light fixtures.